A report out of Taiwan claims that Apple is looking at releasing four models of iPhone in the fall, with a dual-sim model exclusive to China. According to a report by Taiwan-based newspaper United Daily News, Apple may launch a unique iPhone for the Chinese market. 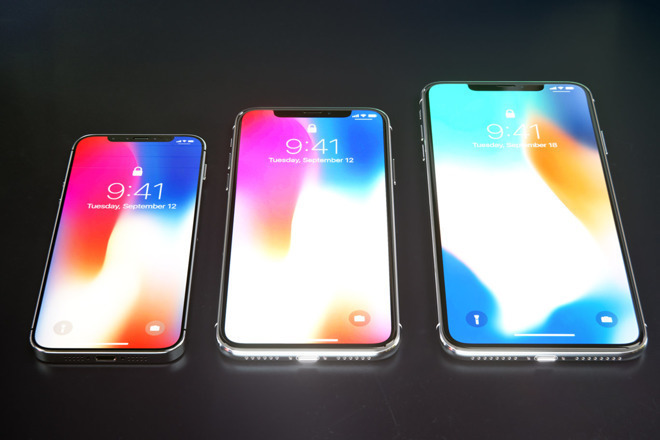 Citing sources with supplier Foxconn, the report claims that the iPhones currently in production have four separate "codes," which could contradict the conventional wisdom that Apple will release three iPhone models this fall. The theory behind the speculation is based on the Chinese use pattern of mobile phones. As compared to the United States, many more people in the Chinese market use multiple phone numbers, and potentially do frequent SIM swaps to use one phone. Apple could meet a potential demand by introducing a dual-sim card phone. Reports of Apple trying a dual-SIM iPhone have spread before, including an early-June report by a Chinese outlet called the 21st Century Business Herald. That report stated that the iPhone would include both embedded Apple SIMs and standard SIM trays. Even so, the idea of an China-exclusive dual-SIM iPhone is certainly far from the conventional wisdom about this year's iPhone lineup. As of last month, Apple held 9 percent of smartphone market share in China, although the iPhone X and iPhone 8 Plus ranked third and fourth in terms of individual models, Counterpoint Research said. Another possibility exists that the publication is taking different model numbers to mean differing hardware, beyond the possibility of a carrier-locked phone behind different modems, like is the situation in the United States with the iPhone 8 and iPhone X using Qualcomm or Intel modems, depending on supported carrier. The United Daily News has a poor track record of predicting Apple's product plans.